People are often shocked and confused when they notice that the paint colour that they chose not long ago has faded. Unless they have been using harsh cleaners on the surface, the most likely reason why the pigment has faded is sunlight. Companies in the paint and coatings industry can stop customers from being confused about the colour changes by fixing their formulas. Businesses in the paint and coatings industry should work with leading chemical companies so that they can change their formulas and prevent this common complaint from being associated with their products. A leading chemical supplier will offer innovative solutions that can make paints durable and resistant to natural elements like sunlight. The formula switch will also increase the longevity of products, so people can have the colour they want for years without any need for reapplication. 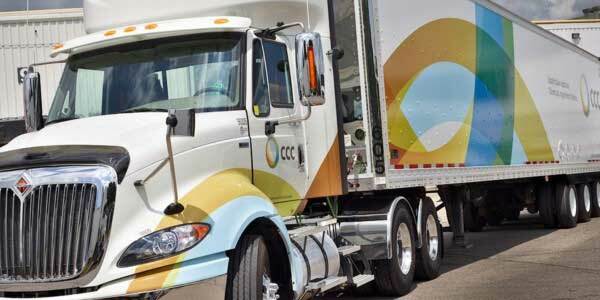 One of the greatest chemical distributors that can assist businesses is CCC Chemicals, which has a portfolio of products dedicated to the needs of paintings and coatings industry — they have sourced incredible suppliers to create a collection of high-quality resins, pigments, rheology modifiers, solvents and more. The supplier has acquired chemical products from manufacturers from all around the world, like Momentive Performance Materials — they are a global leader in the production of silicones and advanced scientific materials. One item from the company Momentive Performance Materials that might interest you is CoatOSil DRI waterborne silicone, which is designed to improve a coating’s resistance to ultraviolet light and limit its water uptake. Any product that promises to improve UV resistance will make sure that issues like fading and discoloration are no longer a primary concern. Frequent ultraviolet light exposure can destroy more than one type of paint or coating — it can ruin products for houses, furniture, industrial buildings and even automobiles. Sunlight exposure is actually one of the most common causes of fading car paint colour, other than salt, pollution and the regular use of abrasive cleaning products like scouring pads. People can tell that the sun is the main cause when the discoloration primarily appears on the roof, hood and trunk — these are the areas that receive direct contact with the sun’s rays, not the sides of the car. Whether the UV exposure is happening to cars, houses or industrial buildings, it is a difficult problem to avoid. If someone does not have a garage, they can’t stop the sun’s rays from reaching their vehicle. People shouldn’t have to close or block off windows to keep their interior coatings in good condition. The only way that this can really be solved is by having chemical solutions incorporated into the formulas for paints and coatings. When companies take the initiative to change their chemical ingredients, their customers won’t have to worry about choosing between paying for frequent reapplications or accepting a colour that they don’t like in the first place. How Can Website Design Increase User Engagement?